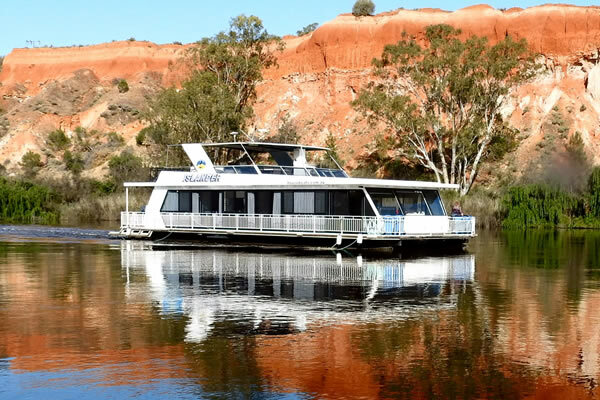 Islands in the sun is what we think of for a relaxing holiday but travelling the beautiful Murray River on 'Islander' could be, without a doubt, your island paradise for however long you choose. 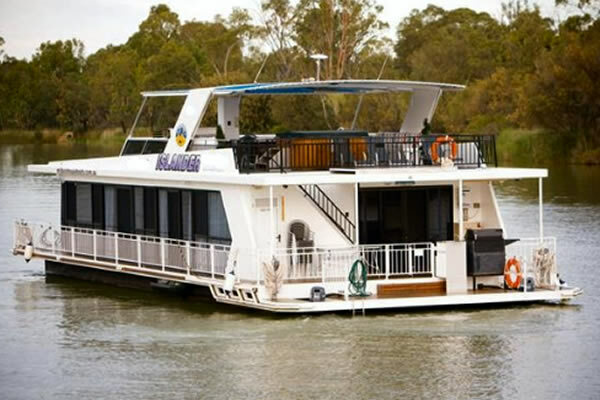 'Islander' has 2 queen size beds and 2 king size beds that can zip apart into singles The 5th bedroom with two sets of bunk beds which is ideal for the younger crew members. 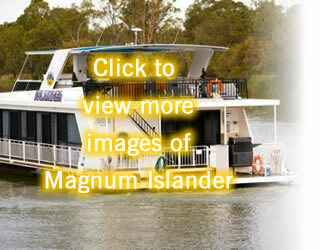 Perfect as a family boat or leave the kids at home and enjoy a relaxing time with friends. 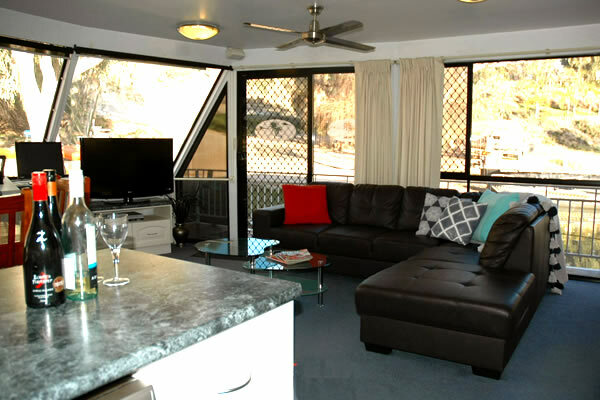 The 4 main bedrooms all have ceiling fans and semi ensuite facilities with large showers. 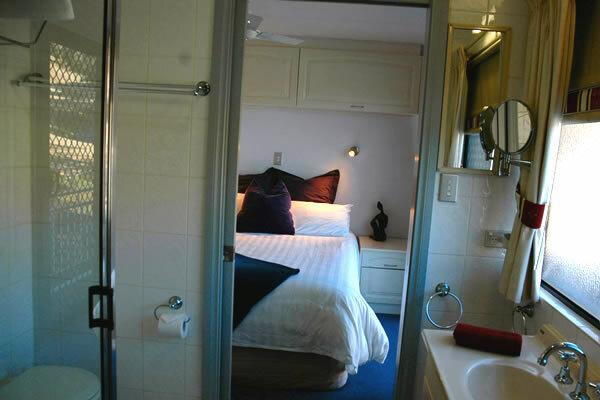 From the main bedrooms you can also enjoy sliding doors to the exterior of the boat. 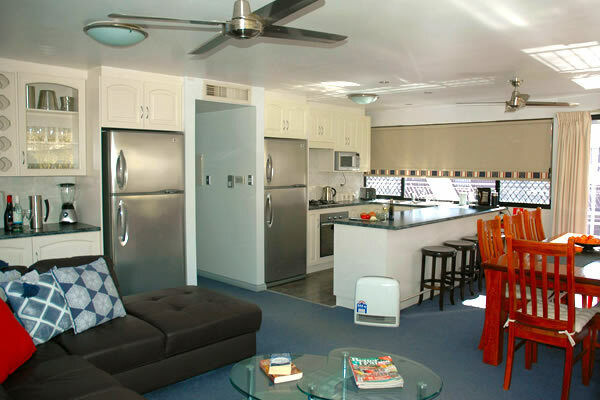 The well equipped kitchen and lounge area has a modern open plan design at the front of the boat. 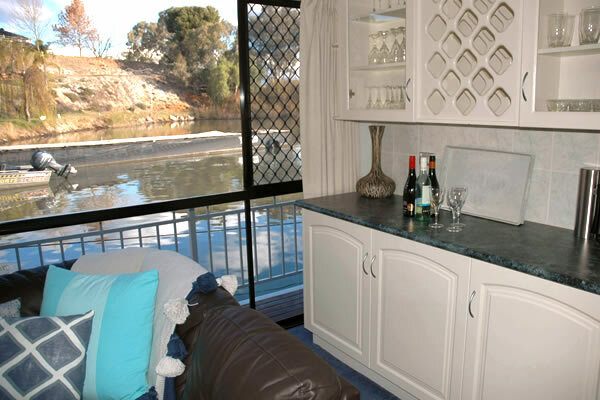 In the hallway a dumb waiter is located to ferry food or drinks to the top deck. What a bonus! 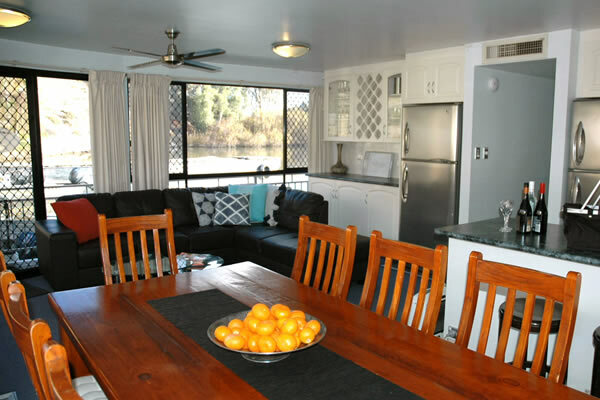 The family sized hooded BBQ is located on the back deck where the crew can enjoy the large swim deck for swimming or skiing. Your BBQ chef can cook up a feast and still be a part of the activities. An outside toilet is a bonus and very convenient when enjoying time outdoors after swimming or when using the spa. Upstairs you will find an 8-seater spa, large dining table that will seat your whole crew, plus 4 sun beds to enjoy time out catching up on your reading or working on your tan. 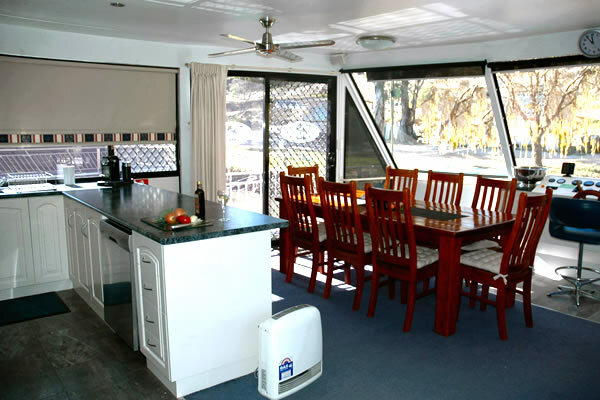 There is evaporative air conditioning through the boat for those summer months and for underfoot comfort it is carpeted throughout. 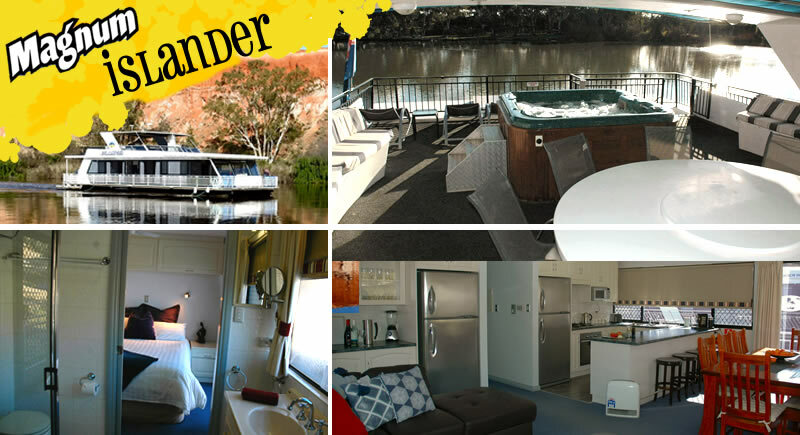 'Islander' has an automated 240v system with inverter so that you don't need to turn the generator on or off, it will do the thinking for you!